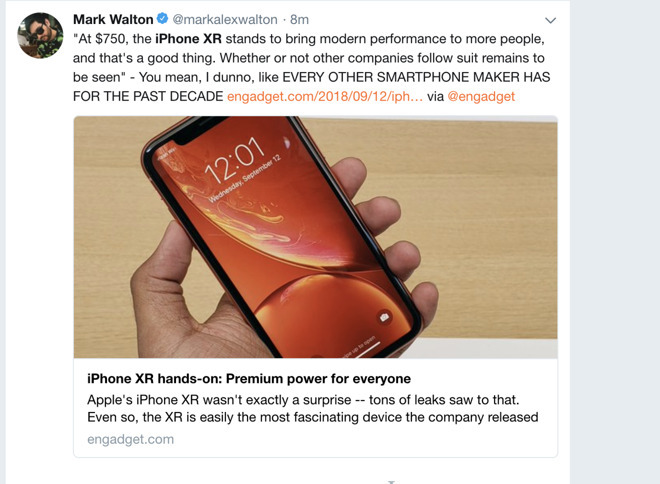 Apple Wednesday unveiled its lower-end — but still very expensive — new iPhone model, the iPhone XR. The assembled tech press sized up the new device after the "Gather Round" event in Cupertino. 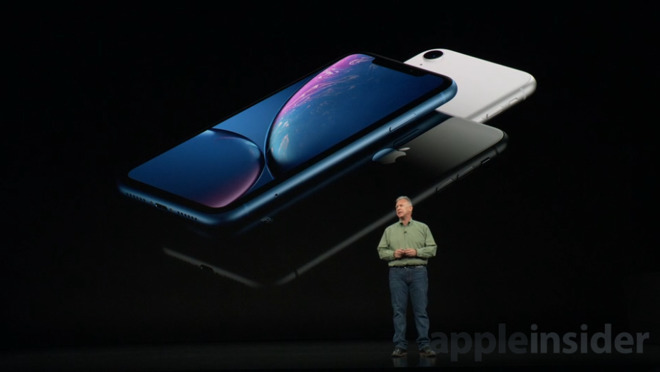 The new iPhone XR, the last of the three iPhones unveiled by Apple Wednesday, is the least expensive of the new models, costing $749 for 64GB of storage, with 128GB selling for $799, and the 256GB edition retailing for $899. Preorders start Oct. 19. Here are some reactions from the media in the room who got the opportunity for a hands-on with the new XR. Chris Velazco touted the "premium power for everyone," describing it as "easily the most fascinating device the company released today." 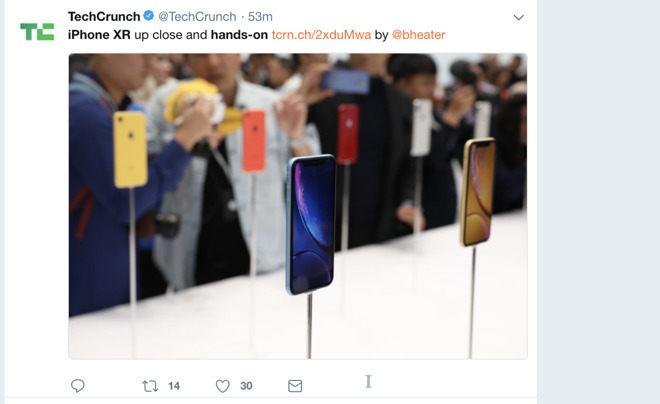 Brian Heater of Tech Crunch said of the iPhone XR that "I couldn't help but be struck by the idea that the XR is, in its own way, the iPhone X version of the iPod Mini," in that it's cheaper, smaller and available in many colors. 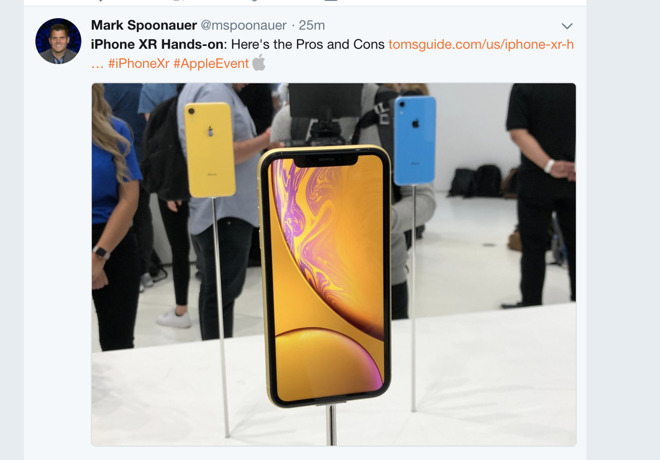 Mark Spoonauer of Tom's Guide called the XR "a clear attempt by Apple to bring its whole lineup up to iPhone X standards while delivering a more affordable price, even if the company needed to make some trade-offs to get there."